The client application can be of any type from a simple console application to a WPF application. We will use WPF application for demonstration. Doing so will be automatically adding System.Runtime.Serialization and System.ServiceModel references to the project. The endpoint information will be added to the App.config as well. The asynchronous method in which await is used must be modified by the async keyword. Such a method, defined by using the async modifier, and usually containing one or more await expressions, is referred to as an async method. Instead of adding the service reference to the WPF project the ChannelFactory<TChannel> class can be used to instantiate the channel to connect to the service. The constructor of the class ChannelFactory<TChannel> accepts the binding configuration and endpoint address. The binding must be compatible with the binding defined with the service host, and the address defined with the EndpointAddress class references the URI of the running service. The CreateChannel method creates a channel to connect to the service. Then, you can invoke methods of the service. 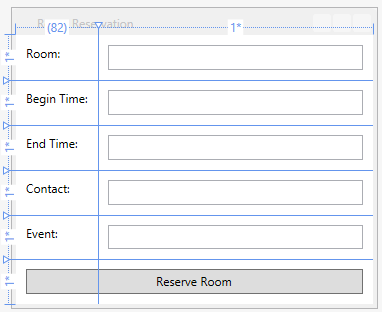 Add a reference to the RoomReservationContract.